We were in Louisville, Kentucky recently and had the pleasure of visiting with Adam Blair of Stala Integrated Framing. These guys have created a key component in commercial ICF construction that’s becoming an industry standard. They fit right in with our mania for simplifying energy efficient construction because their system eliminates steps and saves time and labor. Traditionally, block-outs for door and window openings in ICF walls have been created with pressure treated framing lumber. The ICF installer has carpenters on the crew who spend their time building wood frames to create the rough openings for windows and doors. Cheap materials in a labor intensive process. Those frames (called “bucks”) are set into the ICF wall and braced so they stay square and plumb when the concrete is pumped into the wall cavity. 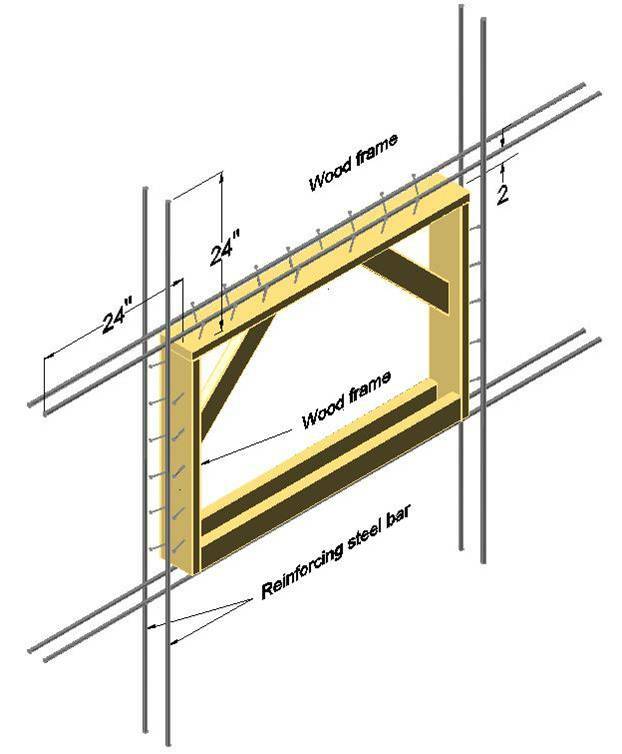 The wood bucks can be set inside the ICF cavity and left in place or wrapped around the opening and removed after the concrete cures to leave a finished concrete surface. Twenty-five yeas ago, vinyl products emerged that serve the same purpose. 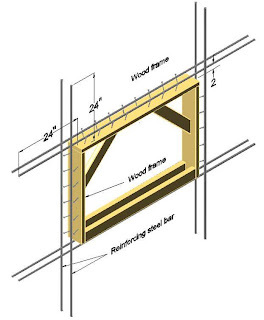 They have made-to-order widths and integrated bracing systems that are easier and faster to work with than wood. The materials cost a few dollars more, but save labor and present a prettier finished product. These methods have worked just fine for residential construction for many years. As ICFs moved into the realm commercial construction, it became clear that a commercial grade solution for door and window openings was needed. Stala has taken on the challenge and reinvented bucking systems. Stala stands for “System To Assemble, Link and Align”. It’s the brainchild of the Atlas Companies. Since 1972, Atlas has been supplying hollow metal and wood doors and hardware to the commercial construction industry. Over the years they've added Division 6, 10, 12 and 17 items to their product line, but their claim to fame is doors, door frames and hardware. Some of their products are off the shelf and some are made to order. That’s why metal bucking systems were a natural step. They were already making them. Stala’s pre-engineered steel door and window bucks incorporate the hollow metal door and window frames into the bucking system. They call it an Integrated Framing Assembly (IFA). The door frames can be designed to receive the door hinges, so no additional hollow metal components are required. Same for the windows. These IFAs can be really basic or quite sophisticated – You can get them fire rated, blast resistant and even with thermal breaks. Normal steel thickness is 14 gauge, but you can get heavier gauges for secure applications. Stala IFAs are made to order in a mass customization process. The interior profile can include a return for sheet rock and that cuts the dry waller’s cost by saving money on labor and materials. The exterior profile can be configured to receive whatever exterior finish system you choose. The Stala IFAs, fully assembled and primed arrive at your jobsite on a flatbed truck. The ICF installer’s only work is setting the IFA in the correct spot in the wall and bracing it. The ICF panels fit into slots (called alignment flanges) in the frame which keeps the ICF properly aligned at the door/window opening – it’s simple. Flanges welded to the inside surface of the assembly extend into the cavity and become embedded in the concrete. That makes it super solid. The key to success of this system is for the architect to know that it requires a collaborative effort. The Stala system needs to be designed in partnership between the architect and the Stala folks. It must be drawn into the plans and speced in the spec book so that the sub-trades that are impacted know they are impacted and can bid accordingly. Stala Integrated Framing Assemblies have been used on US Military projects throughout the country and have also been used on many K-12 projects, including Richardsville Elementary School in Warren County, Kentucky -- the nation’s first net zero energy public school. One other good reason to use Stala Framing: Stala IFAs are made right here in the USA using sophisticated state of the art manufacturing equipment and processes. They provide plenty of good manufacturing jobs which support American families. PolycreteUSA reps have samples of the Stala Integrated Framing Assemblies and include them in all of our architect and general contractor presentations. Contact us today to set up an appointment or call Adam Blair at Stala directly: (502) 779-2127. Polycrete USA believes building green must also mean building fast, strong and economical. We are dedicated to making it EASY to design, build and own energy efficient buildings that stand up to Mother Nature. Copyright 2012, 2013 PolycreteUSA . Picture Window theme. Powered by Blogger.